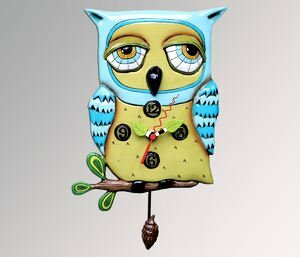 Unique wall clocks don't just tell the time they also reveal a little of your personality and that's especially so with these gorgeous bird clocks. 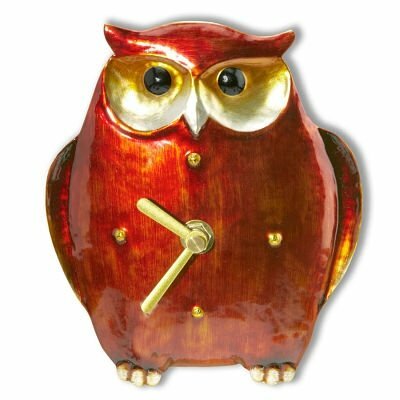 There are some fun bird clocks as well as some which just show off your love of birds to people who are visiting your home. 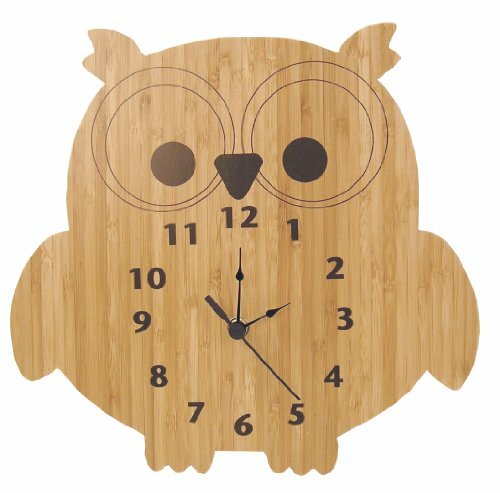 All you have to do is think of your favorite bird and you can find a wall clock that features it from owls to seagulls and more besides. I love watching the birdlife in my garden while enjoying a cup of tea and the idea of actually having a bird clock to show visitors how much I enjoy watching them I think is great. 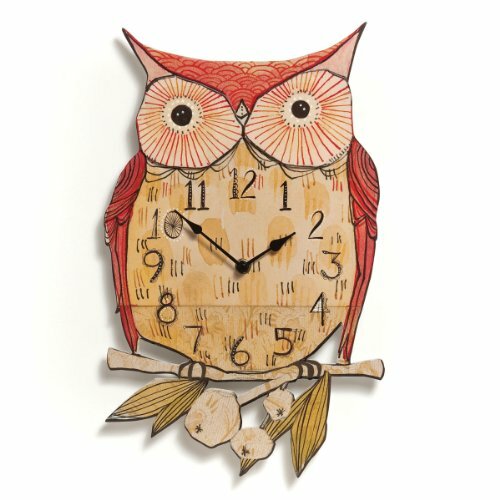 Join me and browse through the collection of bird clocks I've compiled for you - click on the ones you like for more information and/or to buy. 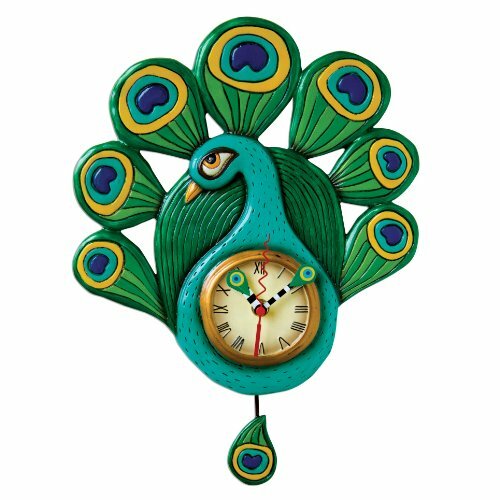 Add a flamboyant touch to your home decor with a gorgeous peacock clock. I love the way a peacock will strut showing off his plumage when he's trying to impress - why not impress your guests with your peacock inspired home decor, well a clock at least! The peacock clock on the left is a really fun and funky design that is sure to get people to notice it ...... rather like a peacock itself! These next clocks all encompass the gorgeous coloring of the peacock, but are more conservative in look so that they will blend nicely into your current decor. 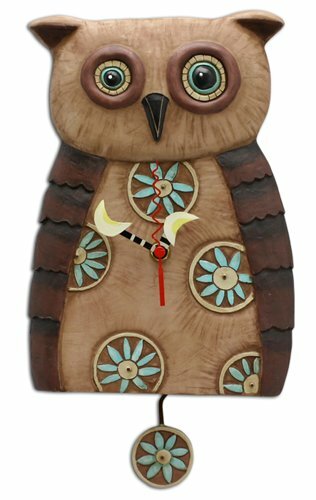 You'll have a 'hoot' of a time hanging up one of these owl clocks! 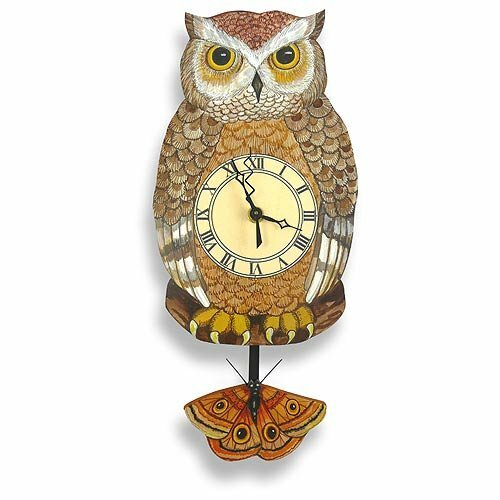 Owls are an enduring favorite feature in some people's home decor, in fact my mother collects owl ornaments so I'm always on the lookout for owls and these clocks have really taken my fancy. 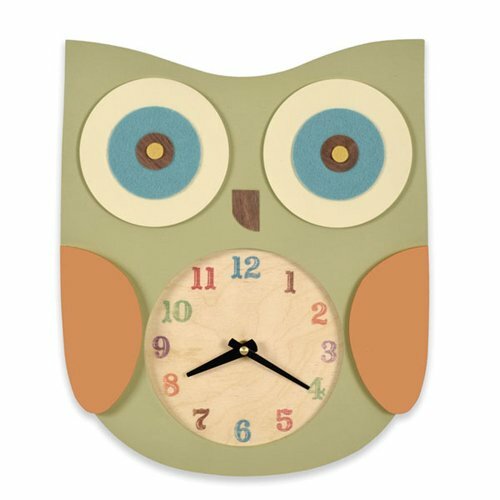 For non-owl shaped owl clocks I've found some cute designs and some more realistic looking images on more traditional round and square wall clocks below. A chicken or rooster inspired clock works really well in a country style decor. I've always loved ducks - probably because I used to go and feed them as a young child, which is a childhood memory that I think a lot of us enjoy. I love the duck clocks that are based on actual duck photos, but I've included some fun clocks as well. The last three clocks are great for a child's room or even a bathroom for a bit of fun, I know my daughter would've loved one of them when she was younger. Not only are seagulls gorgeous birds to watch they are also synonymous with the beach which means that they are the perfect bird clock to add to your beach decor. For now, here are a few more cool bird clocks for you to enjoy.